Anterior Cruciate Ligament (ACL) ruptures remain one of the most devastating injuries to the young competitive athlete. The ACL is the major supporting ligament within the knee joint providing stability to the knee during running, cutting and twisting sports. Though a traumatic collision with another athlete can cause a rupture to the ACL, a sudden alteration in speed and/or change in direction can also predispose an athlete to this injury. The athlete will often describe a loud popping sensation within the knee joint and experience severe pain, swelling and weakness combined with an inability to ambulate. Diagnosis is usually made by obtaining a proper history of injury and by performing a thorough clinical examination of the involved knee. X-rays and MRIs are extremely beneficial during this evaluation and will often help rule-out concomitant injuries to the adjacent ligaments, menisci and/or other cartilage surfaces. The goal of treatment is to return the athlete back to his or her prior level of activity, including competitive sports. Rarely, One may consider conservative/non-operative treatment for those patients that are extremely sedentary and inactive in athletics. In this instance, treatment may include rehabilitation, bracing and restriction to certain activities. For those individuals who are competitive athletes and participate in high-demand twisting sports, surgical ACL reconstruction is the treatment of choice. Over the last several years, I have seen numerous patients with surgical failures from prior ACL reconstructions that have been referred to my office for further consultation and revision surgery. 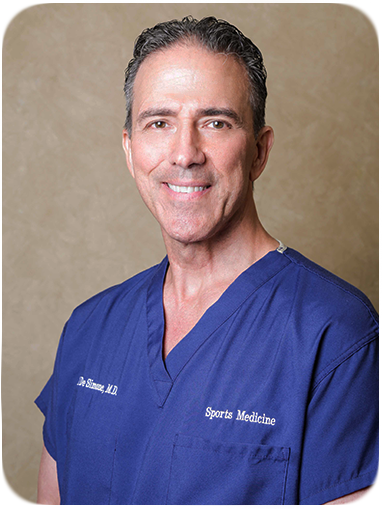 Having performed over 2,600 Anterior Cruciate Ligament reconstructions and over 200 revision surgical procedures, I remain convinced that this procedure is extremely technical and should be treated with attention to detail utilizing state-of-the-art surgical technique. While re-injury may be a common cause of failure subsequent to ACL reconstruction, technique related failures are commonly seen and can often occur from improper graft selection, tunnel placement, graft tension, and/or methods of fixation. Timing of surgery and proper postoperative instructions, including return to athletics, also play a significant role in prevention of re-injury. In concordance with the literature barring any anatomical or growth related considerations, I prefer to utilize bone-patella tendon-bone autograft for the young, high-demand athlete. Treatment of an Anterior Cruciate Ligament rupture continues to be a challenging problem for the high school, collegiate and community athletes. It is imperative that young individuals (and parents) understand the importance of pursuing treatment by an experienced surgeon, preferably with a sub-specialty interest in knee ligament reconstruction. Failure to do so may predispose an athlete to additional surgery and prevent return to sports in a timely manner.